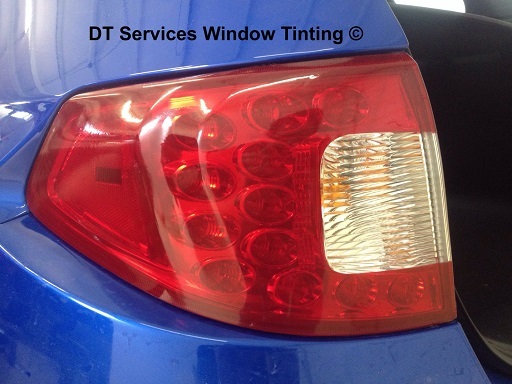 Tail Light tinting is something that is cool and affordable. We can black them out, or change the color from clear to bright red. You can trust us to do it right! What Purpose Does Tail Light Tinting Serve? 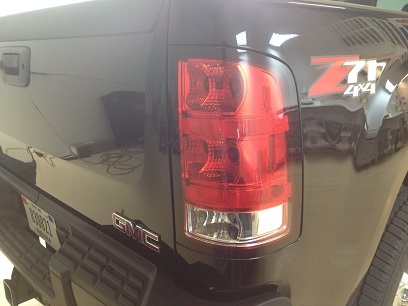 Changing the color, or opacity of your tail lights can give your car, truck, or SUV, a "custom" look and feel. It can attract attention too and serve to offer that "WOW" factor many people look for in a vehicle. Most people do it for looks. The client who brought this vehicle to us wanted to do away with what he called the "90's look" in favor of a more modern and classic look for this Subaru STI. So while there are variations to tinting the tail lights that can be illegal, this application is actually one that enhances the overall performance of the tail light and is far better than the factory look. How is tail light tinting done? 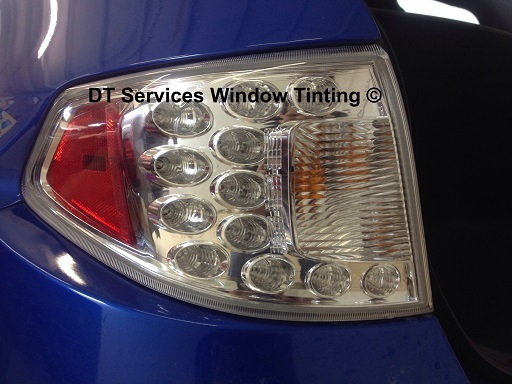 Some shops use a spray on transparent paint to perform tail light tinting. This method works really well for small turn signal and marker lights that have multiple grooves or small raised surfaces. Once dry the final affect is really cool and looks great! The downside to this method is the shop usually must keep your vehicle overnight to make sure each light is completely dry. They also must remove the lights from the vehicle itself , or risk painting your vehicle. We will use this method if we deem it necessary to give a great look especially in areas described above that make other methods difficult or impossible to achieve optimum results. The other method of employs the use of transparent vinyl applied over the the lens itself to give it the desired affect. Usually a calendared high performance sign vinyl is used and can be very desirable if done right. The upside to this method is that it takes far less time, and is far less expensive. Also there is no chance of damage to the painted surface of the vehicle like there is with the spray-on method. This method usually takes far less time, so the client can usually wait on the vehicle while the installation is being done. How long does tail light tinting take? Good question! Usually it takes about an hour to an hour and a half to complete the process for two lights. It can take a couple of hours depending on the vehicle in question and the shape of each light's lens. Actually probably less than you would expect. Generally we charge between $65 - $125 per lens depending on the car and the shape of the lenses to be covered. Sometimes the coverage takes longer than expected and the cost needs to be adjusted. However this is rare and most drivers can prepare to pay about $65 per lens. For off road vehicles - SUV's, 4X4 trucks, Jeeps, etc. - yes. For show cars and vehicles that are taken to a track to race, yes. But for the daily driver, probably not. 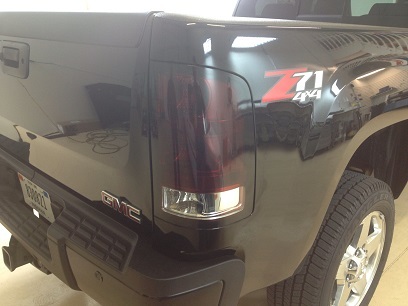 Even though it looks cool, you could get a ticket for tail light tinting. NOTE: DT Services Window Tinting LLC / Carmeltint.com suggests you check with local and state agencies to see if such an application would be legal for you in your particular circumstance BEFORE you ask us to perform this service. 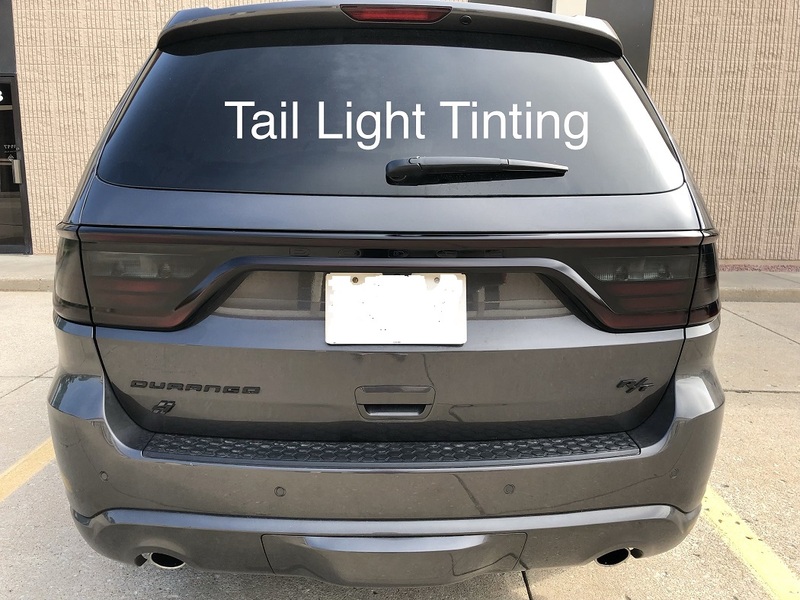 We accept no legal liability and will assume you are tinting your tail lights for off road purposes only should you have us perform tail light tinting for you.